For two weeks, we’ve been digging into Google Maps Marketing, discovering why it’s so important and how you can optimize your Google My Business profile. In this third and final Google Maps Marketing week, we’re showing you more ways to improve your Google Maps ranking. If you want to improve your Google Maps ranking, you should take a look at your citations. A citation is any mention of your business anywhere on the internet. It doesn’t have to have a link, but just to mention your business. Usually, citations consist of the NAP: Name, Address, and Phone number. The important thing about citations is consistency. They really have to be super consistent! So, spelling out the name ‘road’ sometimes and using the abbreviated form ‘Rd’ other times, or writing ‘New York’ on some websites and ‘NY’ on others, is a no go. How to do this: Step one in citation building is making sure you don’t have any bad citations. To do that, go to a SEO search tool like the one on this site and type in your business’ name. Based on the number and quality of your citations on the internet, the search tool gives you a score from 0 to 100 percent, indicating how complete your profile is. If nothing comes up and you’re a new business, you probably don’t have any citations yet. Step 2: The tool also shows you if there are any major places, such as Yelp, Superpages, Localeze, Factual, Facebook, Yellow Pages, or the like, where your business isn’t mentioned or where the tool can’t find your business. These pages are all major places to have citations, so if you see something like this, you should go to the site and make sure you have a citation there. Step 3: You’ll also be able to see if you have any incomplete listings, including where they are and what you need to do to update them. For instance, it might tell you that you have an incomplete listing on Facebook, and that you need to add two more photos and a category to complete your listing. Incomplete listings can have a negative impact on your ability to rank well in search engine results, so remember to update these. Step 4: Last but not least, the tool shows you where you have bad citations either because they’re lacking information or the address is listed in a different way. As mentioned, consistency across the web is critical to ranking well, so make sure to fill out all the information correctly on the pages with inconsistent listings. Step 5: When you’ve fixed the inconsistencies, added your profile to the suggested places, and updated incomplete listings, you want to look for new citations opportunities. One way to do this, is to go to this site, choose your country (the site only covers US, Canada, UK, or Australia), and it’ll show you by business category all the places where you should have citations on the web. When you’ve added your citations to the suggested places, you should do the same thing by city. A lot of the results will be the same, but there should also be some local sites among them. Now that we’ve talked about improving your Google Maps ranking with citations on other website pages, let’s zoom in on how you can improve your ranking with good, organic on-page content on your own website. By content I don’t mean blog posts, eBooks, or the like. I mean information that is in line with the information in your Google My Business profile, such as your city or category. However, putting your category on, for instance, your homepage, might look a little weird. Instead, you can add a link to your footer with your primary My Business category and your city and state, e.g. ‘car rental services in Austin, Texas’. The link should point to a location page, where you can add even more information. This could be a contact us page, but this is really much more about Google and creating strong SEO signals than it’s about telling your customers where to find you and how to get in touch, so you might not want to use your primary contact us page for this, but create a secondary one for SEO purposes. The embedded map and the hyperlink to the predefined map are both really strong signals for Google to pull from. Another powerful signal is a youtube video. The content of the video doesn’t matter, as this is more for Google than for your customers, so it could just be a really short ‘hi and welcome to our site’ video. What matters is the title of your video. Again, you need to use our primary category from your Google My Business followed by your city and state. You can even go a step further and add your address in the title of your video. I know this is a lot of information, but all of these things really work together to cement your location, which is going to help you show up in Google Maps. How to do this: To embed maps or directions to your website, just follow these simple directions from Google support page. The last tip in our Google Maps feature is building links from other websites to your site. This could be through guest blogs you write for other businesses or when partners link to your page. I know this is not just something you can do, but nevertheless, it has a positive impact on your ranking and should be part of our Google Maps Marketing blog series. We’ve reached the destination of our Google Maps Marketing journey and hopefully, you’ve learned more about Google Maps Marketing and how to improve your Google Maps ranking. 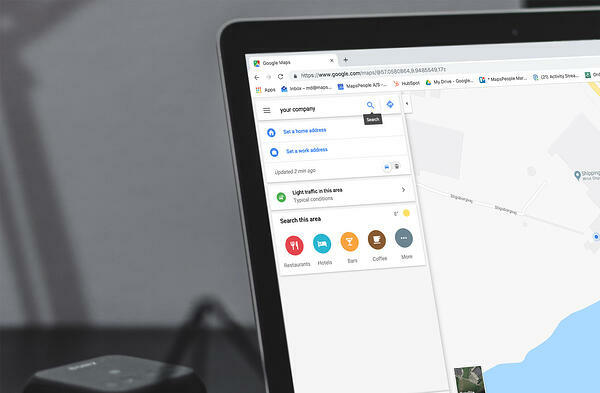 If you missed the first two blogs in the series, you can find part one about the importance of Google Maps Marketing here and part two about Google My Business optimization here. You might also like the blogs below about the power of store locators and the three most important reasons why you should choose Google Maps for your mapping project.